Sedona is known for nature, historic sites, trails, scenic drive, and spas. 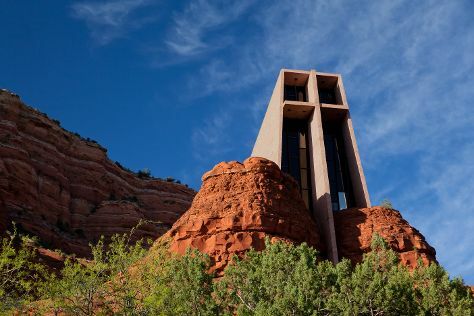 Your plan includes some of its best attractions: take in the dramatic natural features at Cathedral Rock, take an unorthodox tour of Chapel of the Holy Cross, make a trip to Main Street, and hike along Devil's Bridge Trail. For other places to visit, photos, and other tourist information, refer to the Sedona trip planner . Toronto, Canada to Sedona is an approximately 10-hour combination of flight and taxi. You can also do a combination of flight and shuttle; or drive. You'll gain 2 hours traveling from Toronto to Sedona due to the time zone difference. Plan for much hotter temperatures traveling from Toronto in February, with highs in Sedona at 18°C and lows at 5°C. Finish up your sightseeing early on the 4th (Mon) so you can go by car to Grand Canyon National Park. On the 6th (Wed), hike the day away at Bright Angel Trail. Spend the 8th (Fri) exploring nature at Grand Canyon National Park. There's still lots to do: explore the stunning scenery at Grand Canyon South Rim, head outdoors with Shoshone Point, trek along Cape Final Trail, and tour the pleasant surroundings at Rim Trail. For ratings, photos, reviews, and tourist information, go to the Grand Canyon National Park online vacation maker . You can drive from Sedona to Grand Canyon National Park in 2.5 hours. Traveling from Sedona in February, expect nights in Grand Canyon National Park to be much colder, around -9°C, while days are slightly colder, around 11°C. Wrap up your sightseeing on the 11th (Mon) early enough to drive to Page. Spend the 13th (Wed) behind the viewfinder with an inspiring photography tour. 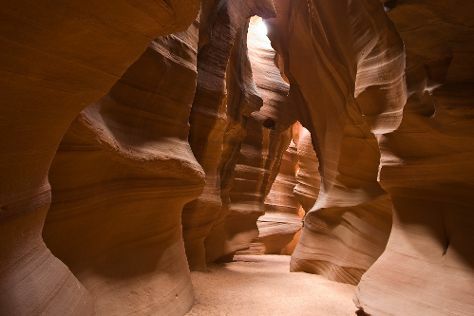 There's still lots to do: explore the stunning scenery at Antelope Canyon, browse the collection at Page Public Library, see human ingenuity at work at Glen Canyon Dam, and surround yourself with nature on a nature and wildlife tour. For more things to do, traveler tips, ratings, and other tourist information, read Page road trip planner. Traveling by car from Grand Canyon National Park to Page takes 2.5 hours. Prepare for a bit warmer weather when traveling from Grand Canyon National Park in February: high temperatures in Page hover around 15°C and lows are around 1°C. Wrap up your sightseeing on the 14th (Thu) early enough to travel to Scottsdale. Scottsdale is a city in the eastern part of Maricopa County, Arizona, adjacent to the Greater Phoenix Area. Change things up with these side-trips from Scottsdale: Phoenix (Horseback Riding Tours & Balloon Rides). And it doesn't end there: examine the collection at Musical Instrument Museum, take in nature's colorful creations at Desert Botanical Garden, get the adrenaline pumping with an extreme tour, and do a tasting at Aridus Wine Company. To see other places to visit, reviews, where to stay, and more tourist information, refer to the Scottsdale trip app . You can do a combination of flight and taxi from Page to Scottsdale in 1.5 hours. Other options are to drive; or do a combination of bus and taxi. Plan for a bit warmer temperatures traveling from Page in February, with highs in Scottsdale at 27°C and lows at 12°C. Cap off your sightseeing on the 18th (Mon) early enough to go by car to Tucson. Step out of Tucson with an excursion to Mt Lemmon General Store in Mount Lemmon--about 42 minutes away. The adventure continues: get a new perspective on nature at Arizona-Sonora Desert Museum, meet the residents at Reid Park Zoo, take some stellar pictures from Gates Pass, and contemplate in the serene atmosphere at Mission San Xavier del Bac. To find where to stay, more things to do, other places to visit, and more tourist information, read our Tucson trip planner . Drive from Scottsdale to Tucson in 2 hours. Alternatively, you can take a bus. Traveling from Scottsdale in February, plan for a bit cooler nights in Tucson, with lows around 7°C. You will leave for home on the 23rd (Sat).